The train station in Garden Home, Oregon, in 1911. 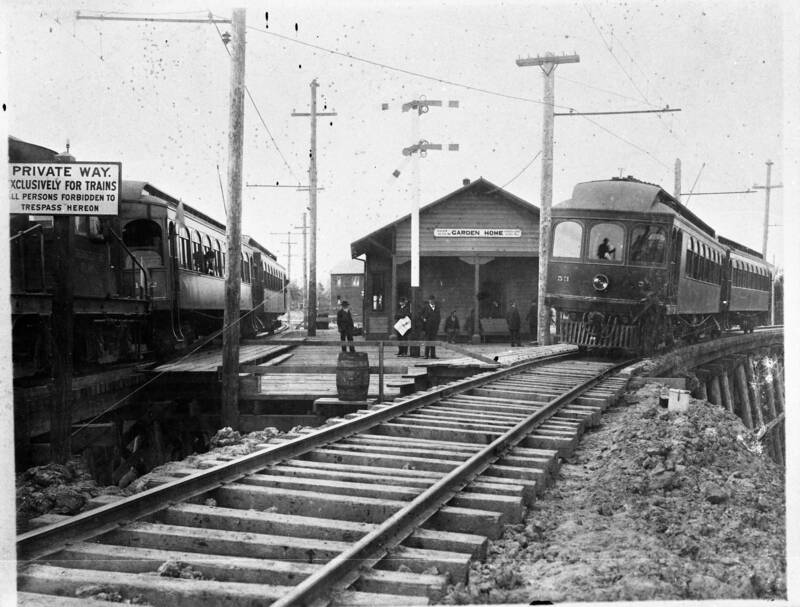 This was a station in the Oregon Electric Railway (OER) system; note the electric lines above the trains. The OER system linked Portland to Salem, and later extended to Eugene. At the Garden Home station, a branch line forked west to Forest Grove. The original copy of this photograph is in the collection of the Washington County Museum.